1. 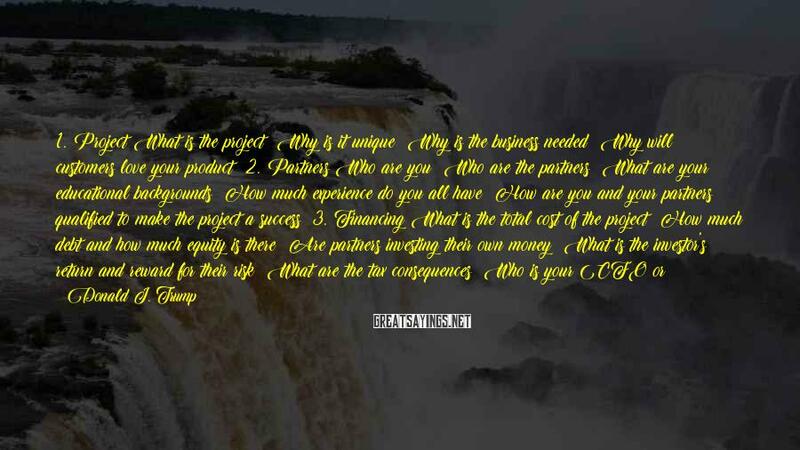 Project What Is The Project? Why Is It Unique? 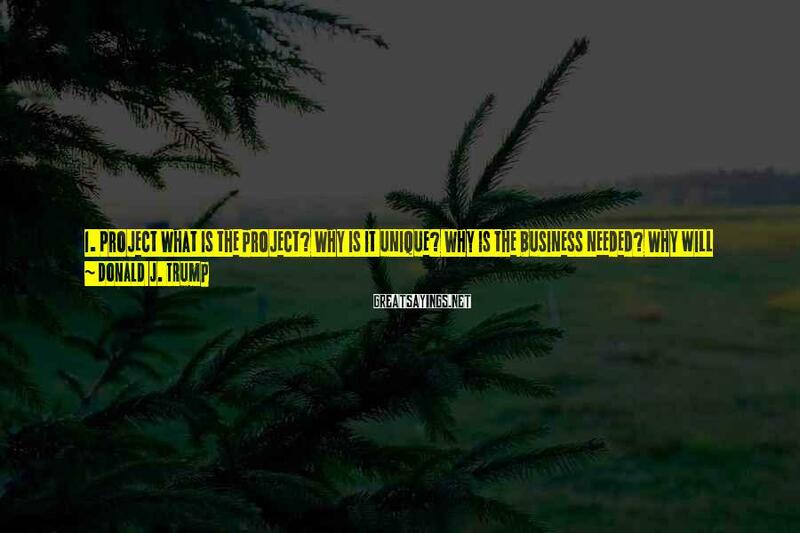 Why Is The Business Needed? 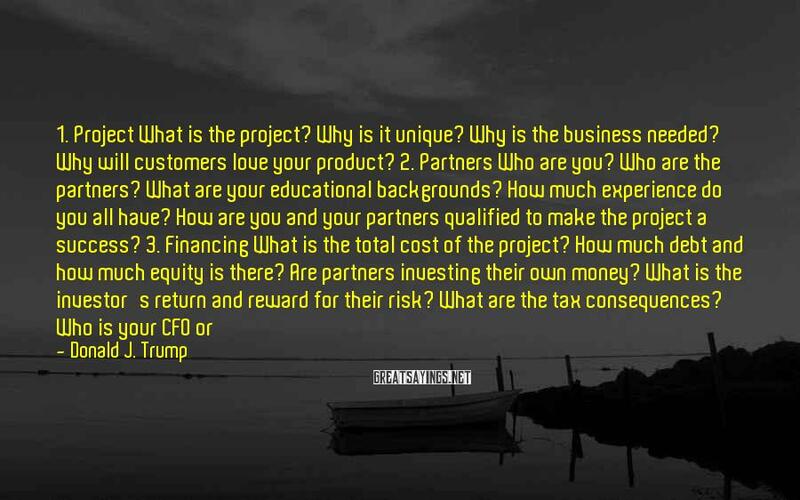 Why Will Customers Love Your Product? 2. 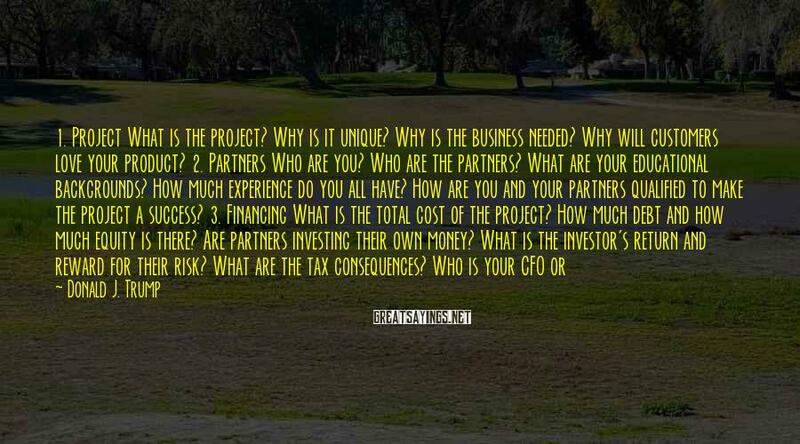 Partners Who Are You? 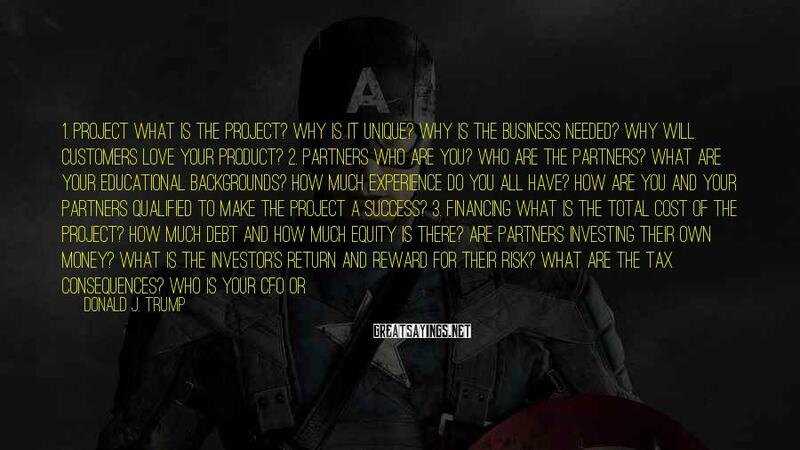 Who Are The Partners? What Are Your Educational Backgrounds? How Much Experience Do You All Have? 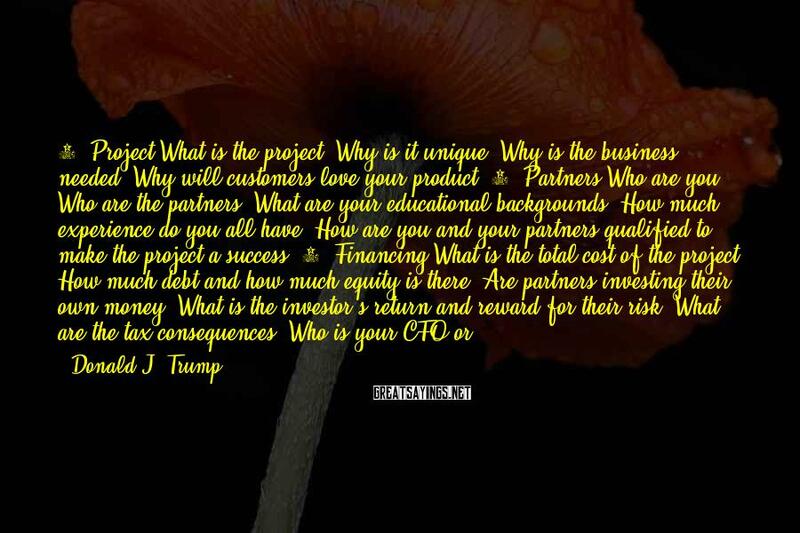 How Are You And Your Partners Qualified To Make The Project A Success? 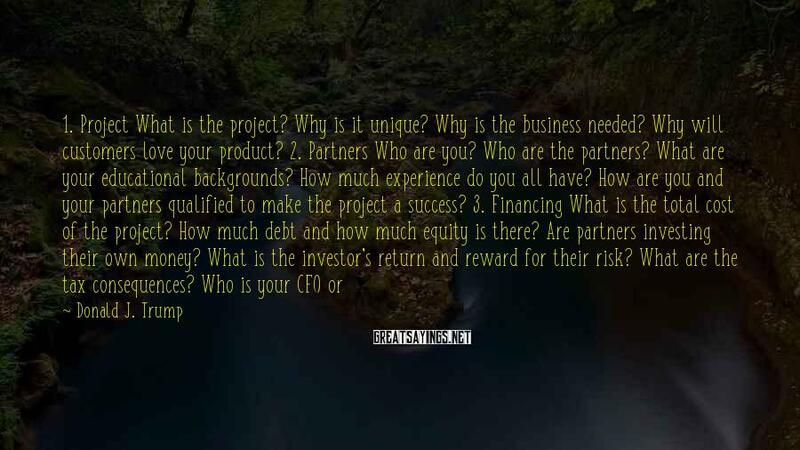 3. Financing What Is The Total Cost Of The Project? How Much Debt And How Much Equity Is There? 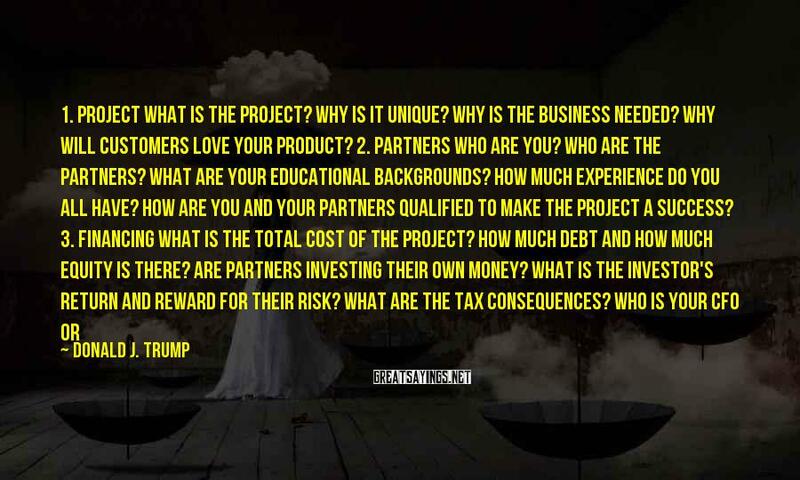 Are Partners Investing Their Own Money? 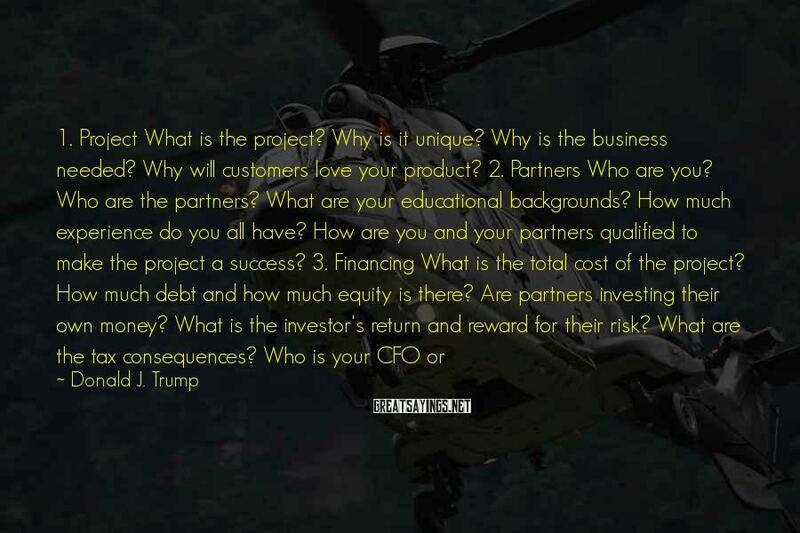 What Is The Investor's Return And Reward For Their Risk? What Are The Tax Consequences? 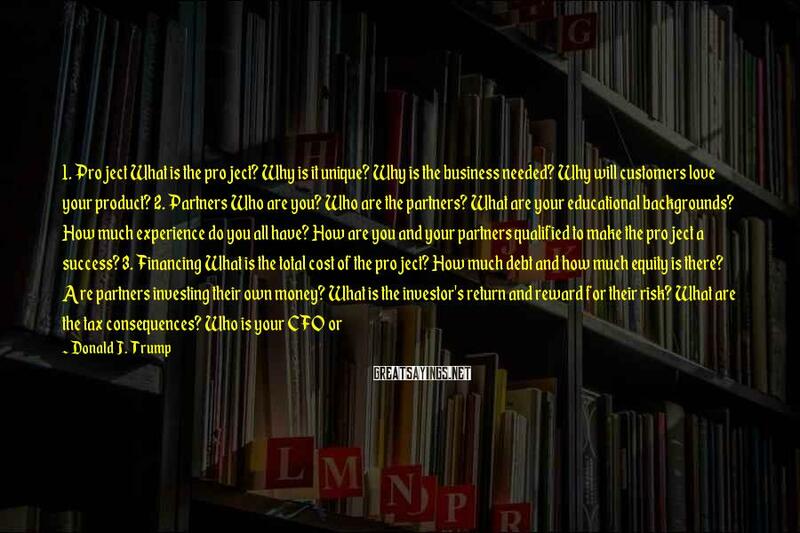 Who Is Your CFO Or Accounting Firm? Who Is Responsible For Investor Communications? 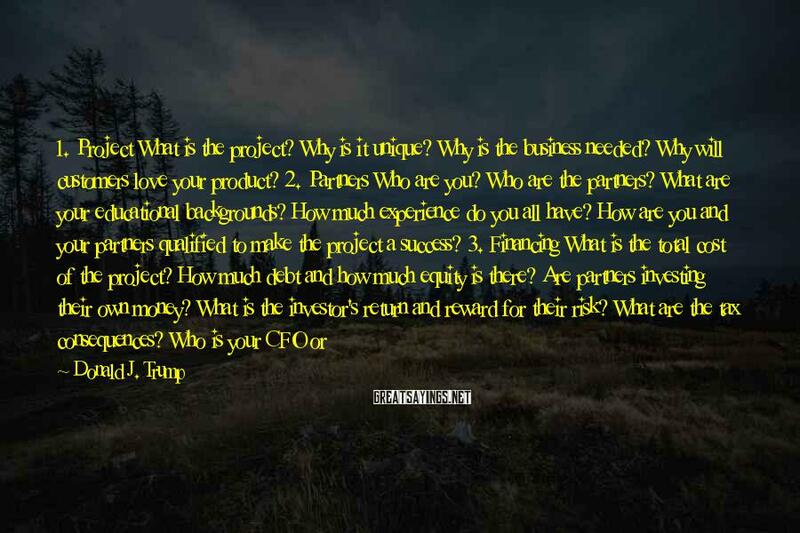 What Is The Investor's Exit? 4. 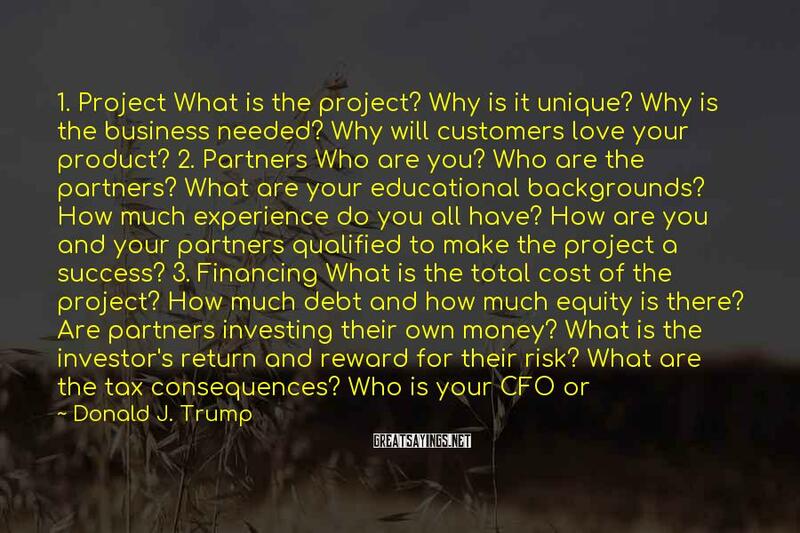 Management Who Is Running Your Company? What Is Their Experience? What Is Their Track Record? Have They Ever Failed? 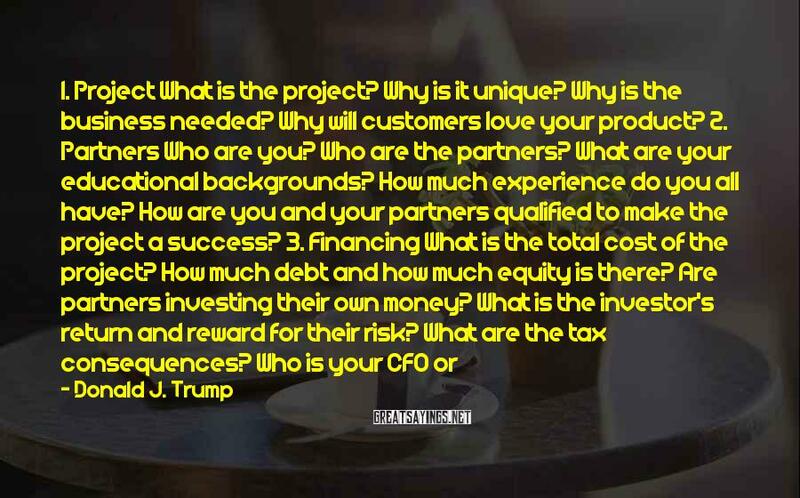 How Does Their Experience Relate To Your Industry? Do You Believe This Is The Strongest Management Team You Can Assemble? 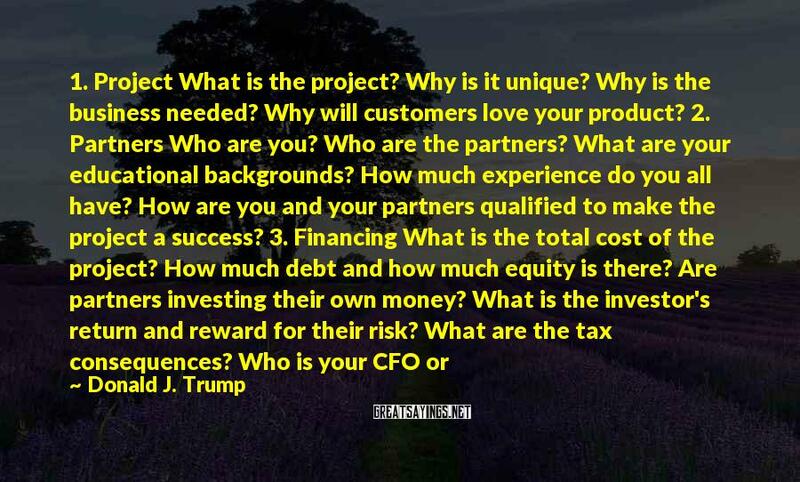 Can You Pitch Them With Confidence?